Modern Apartments & Lofts - NOW LEASING! Welcome Home to The Fox Building! The Fox Building is an adaptive reuse of a 20th century structure with a rich industrial history. The building was the original home of Noxzema and more recently, Fox Industries. The Fox Building has been transformed into a vibrant mixed-use community of apartments and artist workspaces. Many of the building’s original features have been retained and restored such as original maple wood plank flooring, glass block windows, soaring ceilings, and much more. 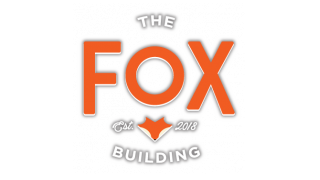 The residential apartment homes at the Fox Building include Studio, 1 & 2 bedroom Hampden apartments and feature polished concrete floors, modern kitchens and baths, washer/dryers, high ceilings with ceiling fans, and oversized windows. The Fox Building also features several loft apartments, as well as a number of live-work spaces, designed specifically for a working artist or artisan. The Fox Building is well-served by a wide array of amenities. These include on-site parking, a heated swimming pool, state-of-the-art fitness center, resident lounge, game room, and much more. The Fox Building is located in Baltimore City’s artistic and dynamic Hampden neighborhood. Just a few blocks from ”the Avenue” on 36th Street, residents of the Fox Building are in walking distance to some of Baltimore’s best restaurants and local shopping. The Fox Building also provides easy access to I-83, making commutes simple and putting Baltimore’s top attractions, employers and universities within easy reach. For additional information, click on ‘Contact’ and submit your information.